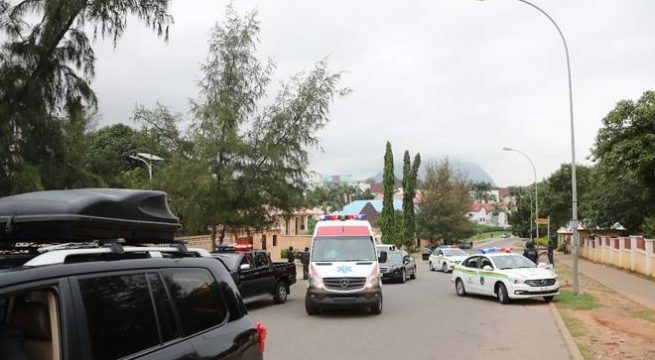 Senate President, Bukola Saraki, this morning had his convoy intercepted and blocked by the Nigerian Police. He was on his way to honour the invitation extended to him by the Police to appear before it this morning by 8am. The Senate President had last night released a statement indicating that the Police sent a letter to him by 8pm, requesting that he reports to the Force Headquarters by 8am this morning. It is therefore not clear at this time why his convoy was blocked on his way to honour the invitation. According to Olu Onemola and Bamikole Omisore who are both aids to the Senate President, he is being held back from honouring the invitation. Bamikole Omisore had this morning tweeted the news of the blocking of the convoy. 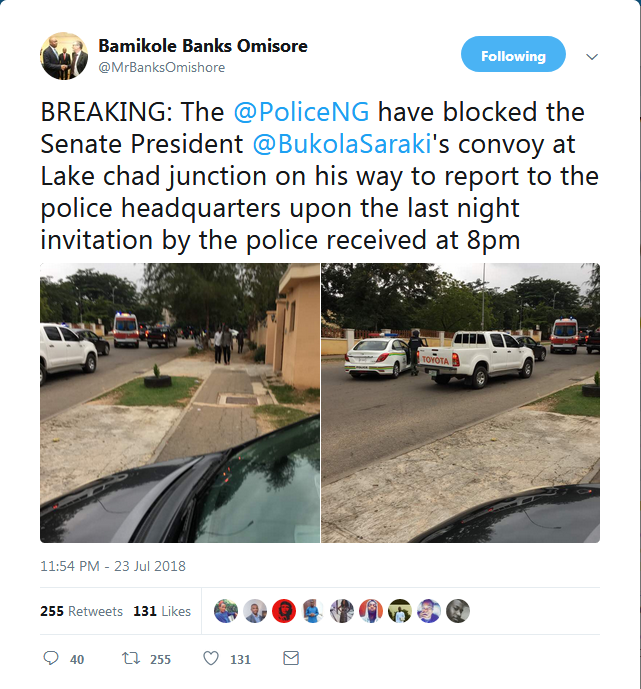 His tweet read “BREAKING: The @PoliceNG have blocked the Senate President @BukolaSaraki’s convoy at Lake chad junction on his way to report to the police headquarters upon the last night invitation by the police received at 8pm. 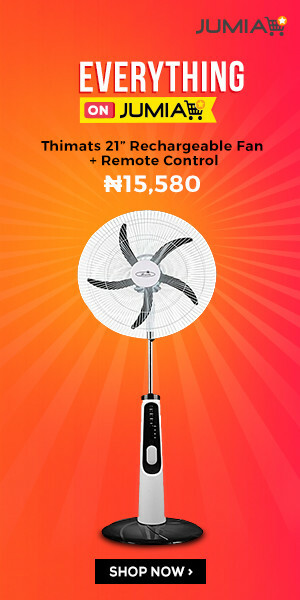 We shall provide more updates as events unfold.